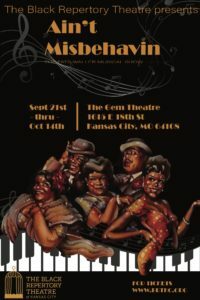 Step back into the 1940s with legendary jazz pianist Tommy “Fats” Waller and enjoy a night in Harlem when Kansas City’s Black Repertory Theatre presents “Ain’t Misbehavin” at the historic Gem Theatre in the Jazz District. Damon Russel Armstrong, founder and director of the Black Rep brings Harlem nightclubs to the forefront as they open their third season, this time in the gorgeous Gem Theatre just off the 18th and Vine intersection. With his charged cast in the Gem Theatre, patrons feel as if they entered a time warp into former theatre majesty, with 1940s costumes, and splendid performances, a great band, a great set, and a musical review that highlights Waller’s Jazz. 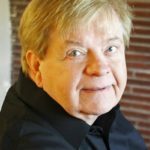 The show is a cavalcade of some of Fats Waller’s music, The songs range from sassy to bold, to jazzy, to sentimental. “I’m Gonna Sit Right Down and Write Myself a Letter,” “Honeysuckle Rose,” “Ain’t Misbehavin,” “Cash for Your Trash,” “Ain’t Nobody’s Business if I Do,” “The Reefer Song,” “The Vipor Drag,” “This Joint Is Jumpin,” “Mean to Me,” “Find Out What They Like (and How They Like It),” Fat and Greasy,” “It’s a Sin to Tell a Lie,” “I Can’t Give You Anything but Love,” “Your Feets Too Big,” and others. The show just jumps and moves nonstop once it begins until intermission. Cannot believe anyone will leave the show without a smile on his/her face and a bounce in his/her step after experiencing this uplifting production. The set is very classy and the show’s tone remains light and lively. For those who have never been inside the Gem Theater, they are in for a surprise. The theater lobby is wide and accommodates groups to gather and visit. The main floor of the auditorium contains three sections of seats on a nice sloped floor, so no steps to contend, and the balcony reminds of the old-theaters. The design and updated features just gives The Black Rep a newfound goal–sell out. “Ain’t Misbehavin” could do that as word spreads. “Ain’t Misbehavin” has the Wow effect. Audiences will not be disappointed. This show is tops and highlights locals. Do not miss this show. While I enjoyed the music and the performances. I did miss a story to accompany the music. The show is a musical review, not a book musical. The vocals were all fantastic. The most fun watching Christopher Barksdale-Burns in his song and dance numbers. He absolutely commanded the stage and his dance moves were precise and energetic.. The Black Rep prides itself in featuring local Kansas City artists for their shows, and “Ain’t Misbehavin’ follows that trend by offering more opportunity for Black artists to showcase their individual strengths and explore new roles. The cast for this production is: Damron Russel Armstrong, Victoria Barbee, Christopher Barksdale-Burns, Micah Flowers, JaNay Adger. Trust me, they put the stamp on their parts. The band, also KC locals excel with their jazz accompaniment. They are Julian Goff, music director/drums; Roberta Wilkes, piano; Brian Wilson, bass. With that combo, “Chopsticks” would be astounding. “Ain’t Misbehavin,” would stand out no matter how or where it plays because of the Waller score, but give credit to the Artistic staff for pushing this to a superior performance level with their special touches. 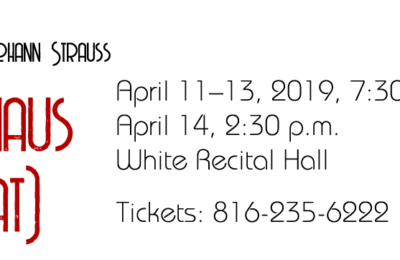 The Artistic staff is: Jeff Eubank, sound designer; Laura Swan, additional sound; Nate Wheatley, lights; Christopher Barkdale-Burns, choreography; Brittany Slaughter, rehearsal accompanist; Annette Armstrong, box office manager. 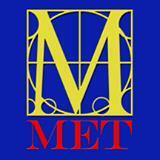 “Ain’t Misbehavin” continues at The Gem Theatre through Oct. 14. Tickets can be secured through the Black Rep website.